The Veterinary Emergency and Critical Care Society (VECCS), the American College of Veterinary Emergency and Critical Care (ACVECC) and the Academy of Veterinary Emergency and Critical Care Technicians (AVECCT) each year together organise IVECCS spring meeting and IVECCS main conference in September. The 4-and-a-half day educationally intense clinical symposium in September features comprehensive programs on Small Animals, Exotics and Large Animals for veterinarians, technicians and hospital management staff. IVECCS offers the highest-quality education available at any national meeting and is attended by the worlds most progressive clinical veterinarians, technicians and academicians. You are welcome to email the VECCS organization for more information. Every year LAVECCS organizes an annual ECC congress. The UK’s largest Emergency and Critical Care (ECC) Congress hosted by Vets Now presents an array of renowned ECC speakers. This prestigious 2 day event takes place annually and welcomes veterinary professionals from across the world, offering over 40 hours of high quality of CPD. Our carefully balanced lecture and workshop programme has been specifically designed to appeal to both Vets and Veterinary Nurses alike and is ideal for anyone looking to enhance their ECC skills. The event also boasts a large exhibition offering veterinary professionals the opportunity to share ideas and insight with industry peers. Whats more our ECC Congress is also renowned for its first class social programme which each year takes on a different theme to spectacular effect and is certainly not to be missed! Visit the website for more information on the Vets Now organisation. Visit the congress website page for more information on the Vets Now conference in 2019. The Romanian Veterinary ECC Congress will be held 22-24 March 2019 in Bucharest, Romania. Visit the RoVECCS website for more information. The Southern European Veterinary Conference will take place 07-09 November 2019 in Sevilla, Spain. More than 200 lectures by more than 100 world-wide experts will cover every aspect of companion animal veterinary care from diagnosis to therapy, including specific topics such as anaesthesia, behaviour, dentistry, dermatology, practice management, emergency/critical care, orthopaedics, pain management, Small Animal Medicine and Feline Medicine. Visit the SEVC website for more information. The Nordic Small Animal Veterinary Conference will be held in Spring 2020 in the beautiful city of Gothenburg, Sweden. We are very happy to invite veterinarians and veterinary technicians from all over the world to participate in our yearly veterinary conference. Visit the NSAVC website for more information and registration. Meetings of the Association of Veterinary Anaesthetists (AVA). Visit the AVA website for more information. Visit the SoA website for further details. 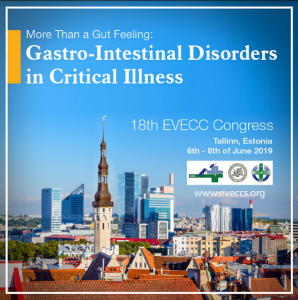 Visit the ESICM website for further details. Visit the ISIC website for further details. Visit the NICIS website for further details.